Introduced for 2012, the current fourth-generation Subaru Impreza holds its own against the small-car competition, yet it somehow lacked that special feel to it – its Subaru-ness that fans often talk about. Well for 2015, the Impreza bows with a mid-cycle refresh that includes a slight nose job and some interior material upgrades, but not much else. To see if the changes make a difference, I spent a week behind the wheel of an Impreza 2.0i dressed in Limited trim. 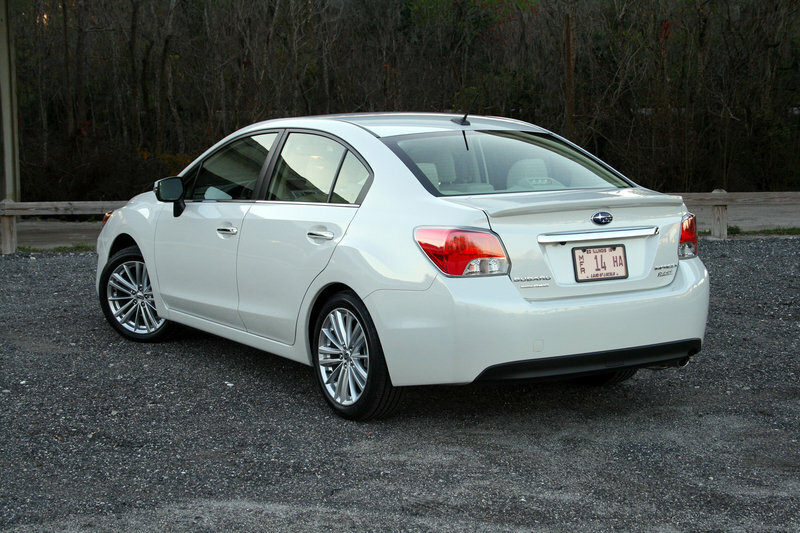 My sedan came coated in Crystal White paint with attractive 17-inch alloy wheels accenting the bright look. One major option package was selected, which included the EyeSight Driver-Assist System, navigation, keyless access and push-button start, and the power moonroof. The trim and options combined to make a semi-luxurious sedan with and interesting combination of equipment. I say interesting because while the car could autonomously maintain a safe following distance, it left me to adjust the leather seats by hand. Such miss-matched combinations were almost common in the car, yet other pairings seemed to work well together. Upon first impression, the exterior looks modest yet expressive. 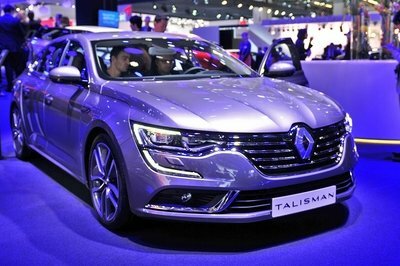 Its new front fascia for 2015 brings those chrome L-shaped bits above the fog lights, revised side-mirror placements, and a small spoiler atop the rear deck lid. I like the way the improved design looks. It lends a more distinctive and purposeful appearance to the car. Fitted with the Limited trim, my tester came with bight 17-inch alloy wheels that added some class. They matched the brightwork at the front of the car, as well as the chrome door handle strips, the chrome accent on the trunk, and the four badges on either side of the license plate. 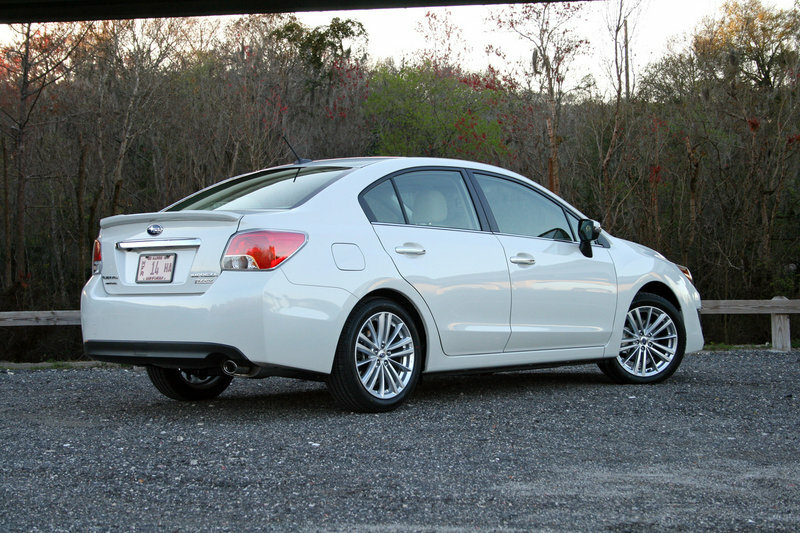 Looks are subjective, but the Impreza is a handsome sedan in my eyes. It’s less showy and it doesn’t try too hard, like some of its competitors. Unlike the outside, things within the cabin are unchanged – at least visually. 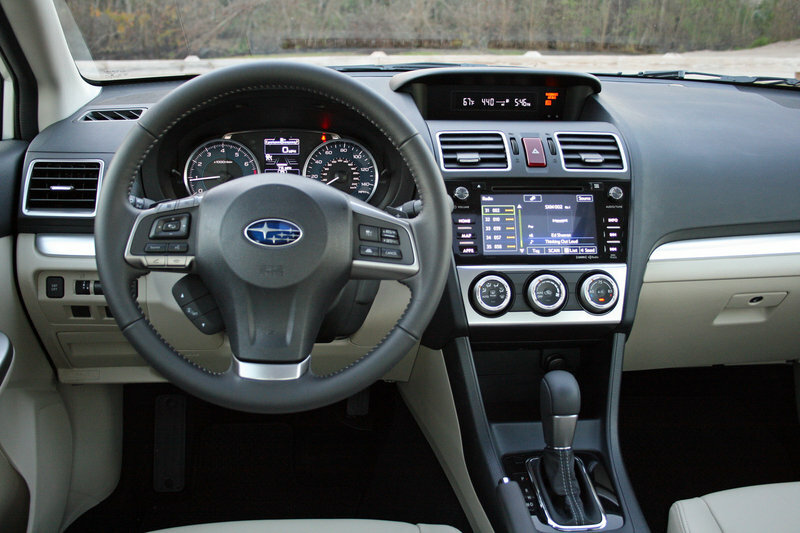 Subaru has added thicker glass and extra insulation to reduce NVH levels. Thanks to that, things are much quieter than in other Subarus I’ve driven, though the engine does emit a harsh droning noise at high rpm. Despite this, the cabin is generally quiet under normal driving circumstances. Ergonomics for the driver are spot-on. Buttons fall where they should and are easy to find. The HVAC controls forego fancy haptic buttons and ill-placed menus buried deep in the infotainment system for honest, simple-to-use knobs. There is often beauty in simplicity. 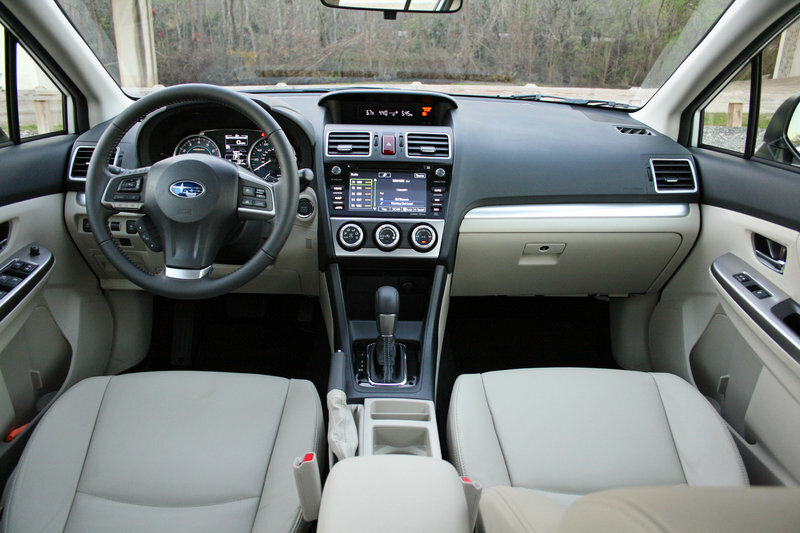 Unfortunately, not everything inside the Impreza’s interior is simple. Adjusting the audio levels is a task not even the manual could explain. I was left with preset choices like jazz, country, pop, rock, and talk. Controlling which doors are unlocked with the keyless access system is impossible without a visit to your Subaru dealer. Unlike other automakers that allow you to set whether grabbing the driver’s door handle unlocks just that door or all four doors, the Subi forces you to hit the unlock button once inside to allow passengers to enter. Only the dealer has the ability to change the settings. Overall passenger comfort is good. 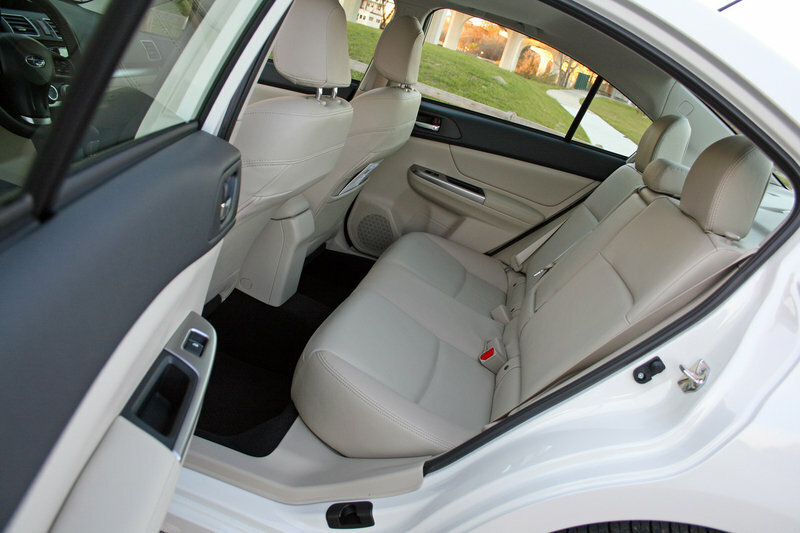 Decent legroom in back offers a pleasant ride for two adults, though three would be cramped. Front seats offer plenty of support, along with fantastic seat heaters. The view outward is generous thanks to the massive front windshield and side glass, along with the small A-pillar windows. 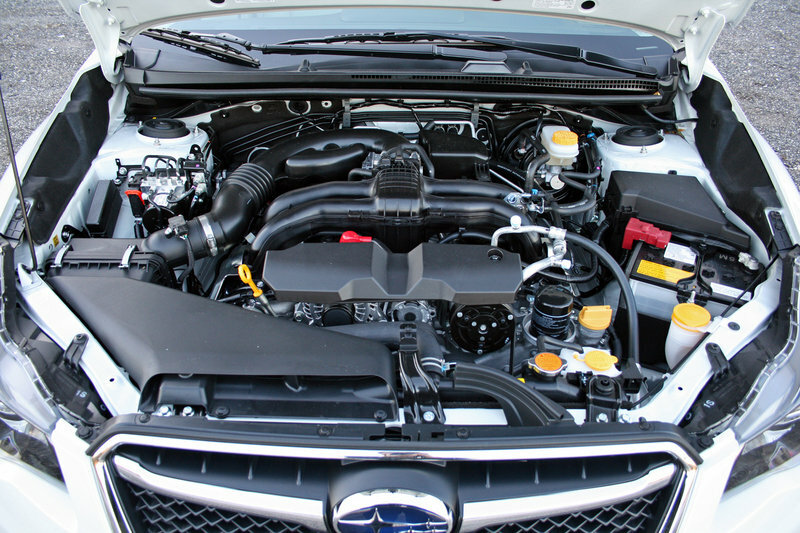 Under the hood lies the same 2.0-liter flat-four found in the 2014 car. It utilizes variable valve timing on its dual overhead cams to help reduce emissions while providing more power when it’s needed. All told, the engine produces 148 horsepower and 145 pound-feet of torque. Those numbers are adequate for motivating the 3,076-pound car, but only just. The sprint to 60 takes around 8.5 seconds. Of course being a Subaru, the engine is mated to the Symmetrical AWD system. It sends power to all four wheels through, in my tester’s case, a CVT. Opt for the base car and a five-speed manual comes standard. Subaru has also improved the way the CVT works. Mostly gone is the serious rubberbanding effect that left cars like my Legacy tester a dud to drive. Ratio changes feel more like shifts, and response times to major throttle inputs are reduced. Piloting the Impreza is a relaxing experience. The car makes no fuss or muss and offers a rather uneventful ride. Don’t read that as boring, however, as the car does comer with more gusto than expected. Chalk that up to the AWD. The suspension is supple over bumps yet firm when it should be. Steering is effortless and nicely weighted. It does have some numbness on-center, but gathers more feeling when loaded in a turn. Torque steer is nearly undetectable – again, thanks to the AWD. 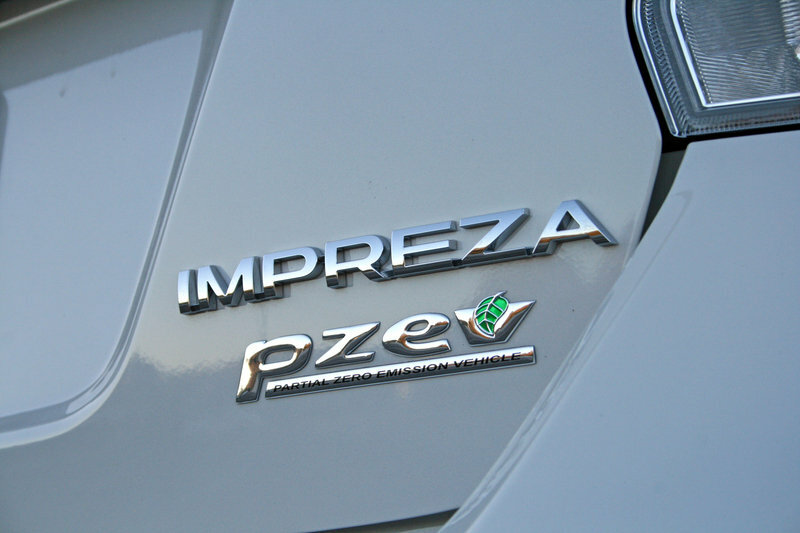 The Impreza’s 2.0-liter engine may not push the car very quickly, but you can drive it fast. You just have to carry the speed rather than rely on the engine to do the work. Of course, this is no WRX, so expecting a hot performer is unreasonable. Highway travel is perhaps where the Subi feels most at home. The sensation of speed is kept to a minimum thanks to the reduced wind noise and smooth ride. The CVT moves into a high ratio and keeps the engine rpm around the 1,200 mark at 70 mph. This contributes to the car’s EPA-estimated 28 mpg city, 37 mpg highway, and 31 mpg combined ratings. During my time with the car, I averaged right at 28.5 mpg, though my tester had just over 1,000 miles on the clock and was likely not fully broken in. 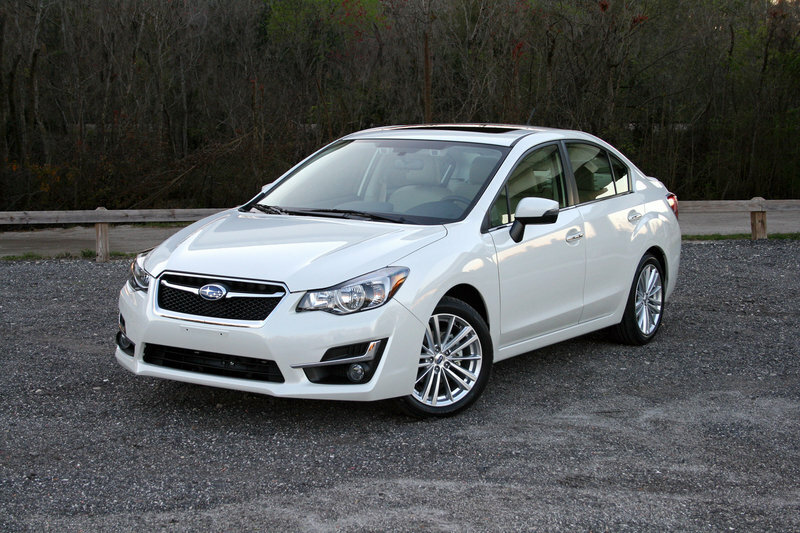 Subaru offers the Impreza at a respectable starting price. Forgo the fancy trim packages and options, and the MSRP is $18,195. For that you get the five-speed manual as well. 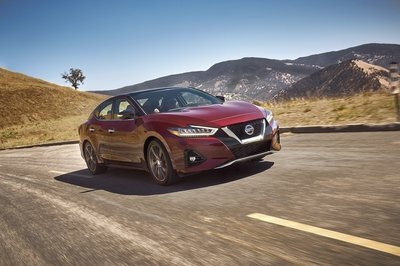 Add the $795 destination charge and options, and my tester’s MSRP lists at $25,885 – a song compared to other leather-lined, AWD-equipped sedans with adaptive cruise control. The Mazda 3 has perhaps the best combination of economy and sport, as its SkyActive four-cylinder provides a decent punch while sipping fuel, its handling abilities exceed what its pricetag would suggest, and it’s all wrapped in an attractive package. 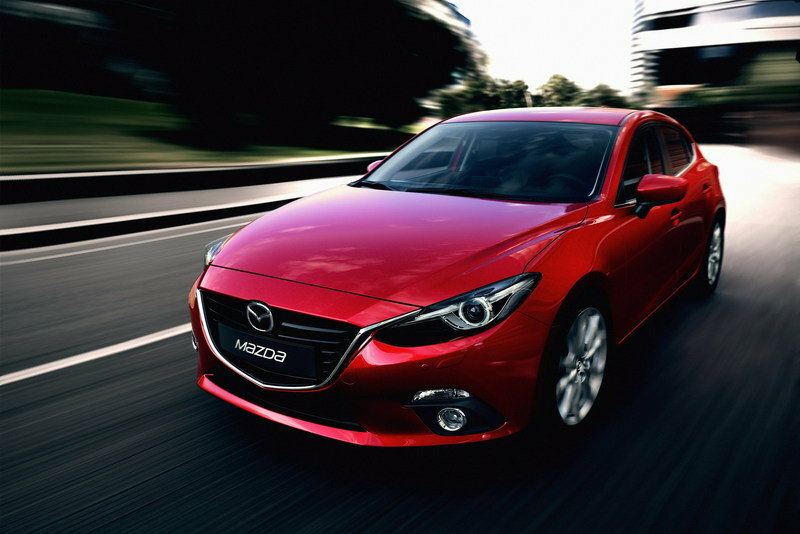 Like the Impreza, the Mazda 3 is offered both as a sedan and five-door hatchback. The added functionality doesn’t disturb the fun — the zoom-zoom aspect of Mazda’s character is intact. Under the 3’s hood lies the naturally aspirated, 2.5-liter four-cylinder that makes 184 horsepower and 185 pound-feet of torque. A six-speed manual is available for those who prefer to row their own, and a six-speed auto is offered. Pricing for the Mazda 3 starts at $16,945 for the sedan and $18,945 for the five-door wagon. Dropping some of the sport and adding more functionality is the Jetta and its five-door version, the Jetta SportWagen. Both body styles offer plenty of functionality, with exceptional interior accommodations and refinement. 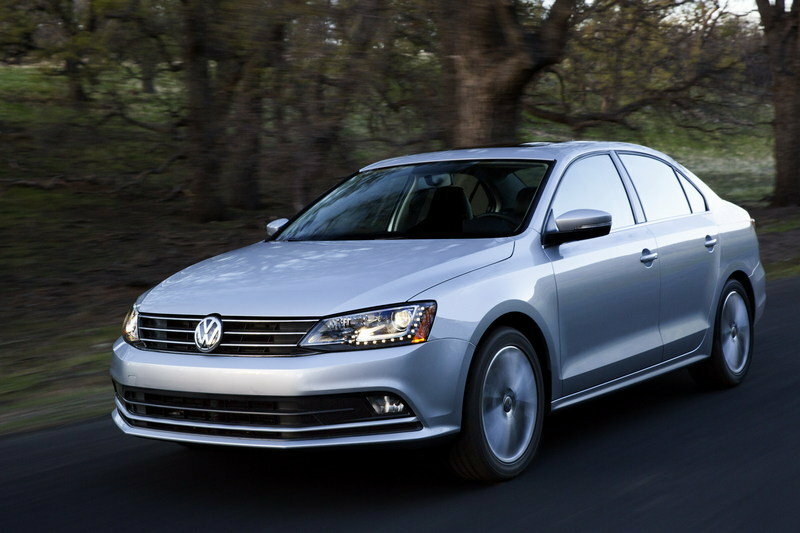 Unlike the others, Volkswagen offers a diesel powerplant for those looking to achieve upwards of 42 mpg highway. 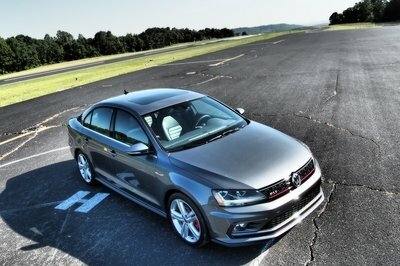 In fact, the German automaker offers four engine choices in total, with the 1.8-liter, turbo four-cylinder holding the base position and the 2.0-liter turbo-four pulling duty in the top-trim GLI. There’s even a 1.4-liter four-cylinder in a hybrid version. The base 1.8-liter turbo offers up 170 horsepower and 184 pound-feet of torque. Those interested in more sporty affairs can choose the 2.0-liter turbo that kicks out an impressive 210 horsepower and 207 pound-feet of torque. The hybrid makes 150 horses and lays down an impressive 48 mpg highway. That’s two mpg more than the TDi. 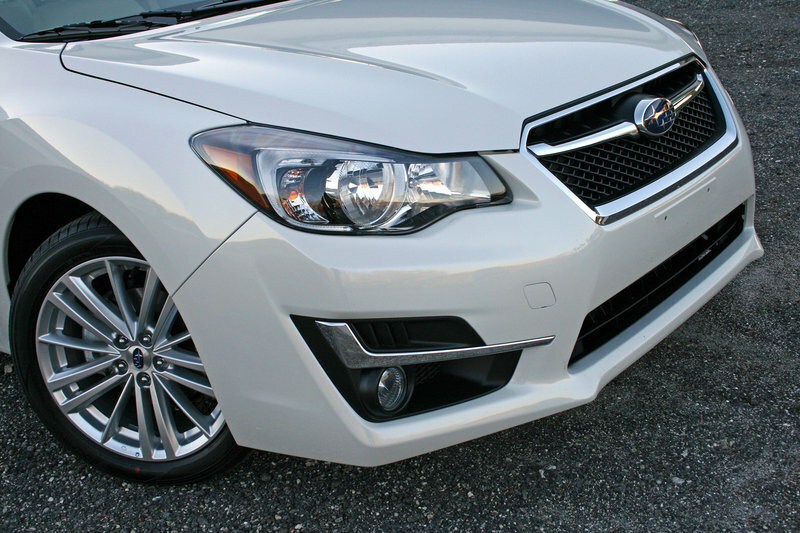 The updates for 2015 have brought more niceties to the Impreza, including a quieter cabin and a more handsome front end. However, rather than returning the car back to its Subaru-ness, the updates carry it further away from the loud, raucous, character-filled Subis of old. While that may bring tears of sorrow to diehard Subaru fans, it brings tears of joy to the automaker’s bean counters. 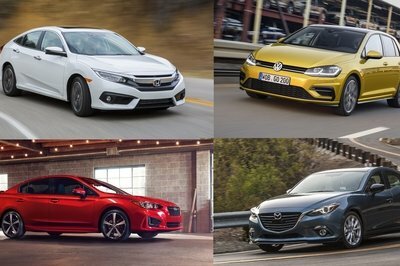 The improvements should help the Impreza compete well against the Mazda 3, Jetta, and others. Overall, the Impreza proved to be an impressive little family sedan with room for four and the ability to trek through harsh weather conditions. Decent fuel economy helps the sales pitch, and decent driving characteristics help seal the deal. 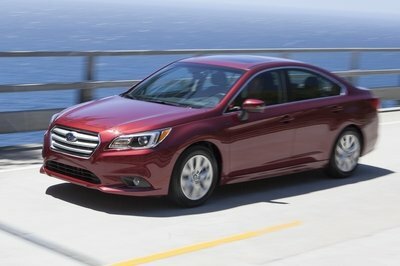 Lowest-cost AWD sedan in the U.S.